County Sligo Golf Club at Rosses Point boasts spectacular scenery of mountain, ocean and countryside. The championship course is ranked in the top 10 list of Irish Golf courses and features in the top 50 in Great Britain & Ireland. Rosses Point is a popular seaside resort with beautiful views of Knocknarea to the south and Benbulben to the north. The beach is lifeguard patrolled during the bathing season and more information can be found on the noticeboard located at the beach. This beach has been dual awarded, achieving the International Blue Flag and Green Coast Award status 2014. 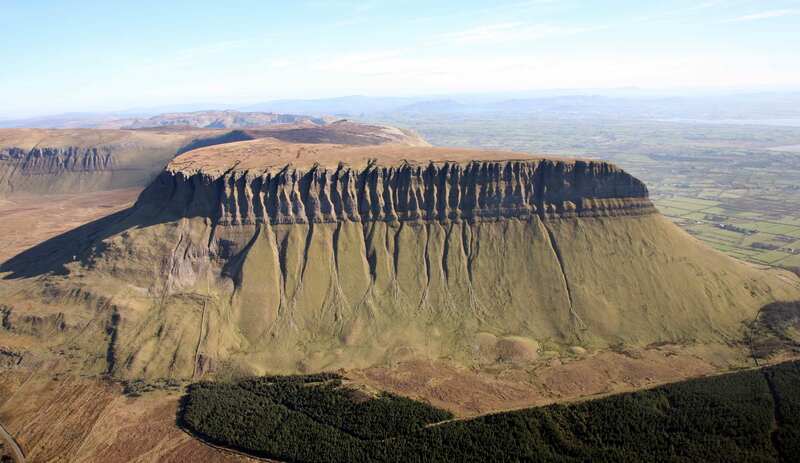 Benbulben is known as County Sligo’s 'Table Mountain' and is part of the Dartry Mountains. Benbulben was formed as a result of the different responses to erosion of the limestone and shale of which the mountain is formed. This walk starts from the promenade in Rosses Point at the Church of Ireland overlooking Oyster Ireland. At the end of the promenade (you can see the Metal Man out to sea), continue along the road to the right. Turn right at the t-junction on the beach road past the tennis grounds. Take another right past the hotel and a left on to the road parallel with the promenade, back to your starting point. Originally formed in 1821, Sligo Yacht Club is home to enthusiastic sailors of all ages. With sailing taking place 5 days a week April - October, Sligo Yacht Club welcome all potential new members or visitors to come experience sailing in the Northwest of Ireland. Sligo is the top destination in Ireland for kitesurfing and the team at LSD Kiteboarding are on hand to help you get into the sport in a safe and controlled manner. Whether you are an experienced kitesurfer or have never tried the sport before, Eamon and Peter can give you the best advice on equipment, weather and the best beaches to hit. Located in the scenic seaside village of Rosses Point Sligo. The pub is open during the day and casual dining in the evenings with daily specials. Located on Rosses Point Promenade, the pub enjoys spectacular views over the islands Oyster and Coney. Local Chefs provide fresh, homemade, really tasty seasonal fare from the locality. The bar & cafe area is the perfect place for some light food or to relax and have a drink, with gorgeous views over Sligo Bay & Oyster Island.